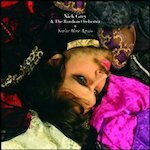 I have never been a lover of Nick Grey’s musical output. I can’t help but see him as a Nick Cave wannabe, a self-absorbed musician who thinks he has more to say than he actually does. His latest album is “A collection of songs about unhealthy thinking’; and as a side note ‘do not play this record during or after yoga’. You have been warned. 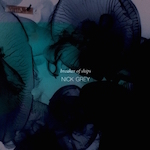 Once again, Grey’s talents vocally are good and his random orchestra show they’re accomplished at what they do; and at least this time out he isn’t trying to emulate a mutant hybrid of Bowie and Cave. Instead tracks such as the title one are paced in the same vein as a competent Pink Floyd. ‘Of Ghosts and Women’ touches on Ultravox in some respects and as far as experimentalism gets; that’s it. I will credit Grey this time on expanding on more than one genre, and the desperation in his voice isn’t as grating as it once was; it’s merely tolerable in a Coldplay way. All in all this isn’t a terrible album and I didn’t feel like snapping it in two like much of his previous work.